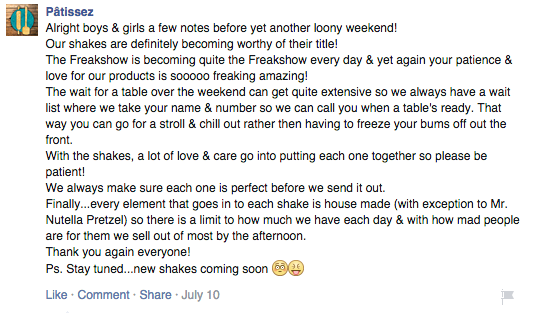 Admit it: You’ve never wanted anything as badly as you want the milkshakes in that picture. It’s that kind of reaction that has catapulted Patissez, a small cafe in Canberra, Australia that only opened seven weeks ago, to Internet fame. 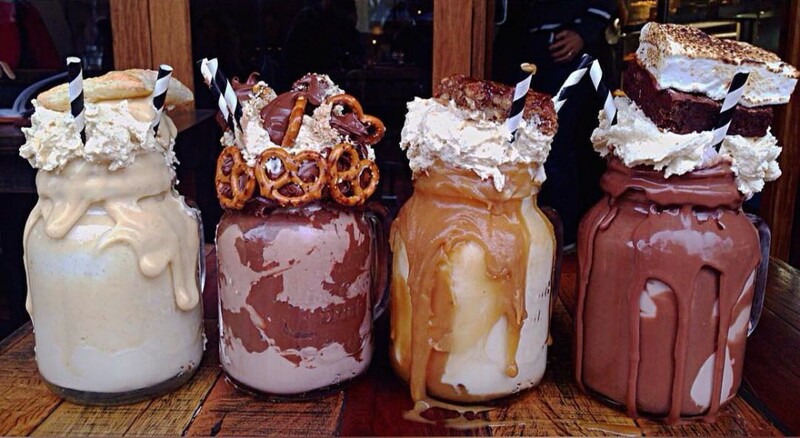 That’s a shot of the Nutella and Salty Pretzel Milkshake, one of four “Freakshow” shakes Patissez makes, along with the Nutty Pat, Muddy Pat, and French Vanilla. Patissez is co-owned by mother-daughter duo Anna and Gina Petridis, along with French pastry chefs Ismael and Astrid Toorawa, likely responsible for non-milkshake delights like this. 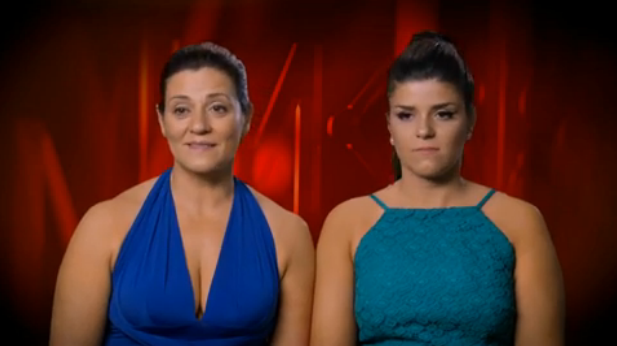 Ironically, the Petridises were the first contestants eliminated this season on My Kitchen Rules, an Australian cooking reality show. If you haven’t already booked a flight to Australia, here’s a few more mouth-watering photos to convince you.